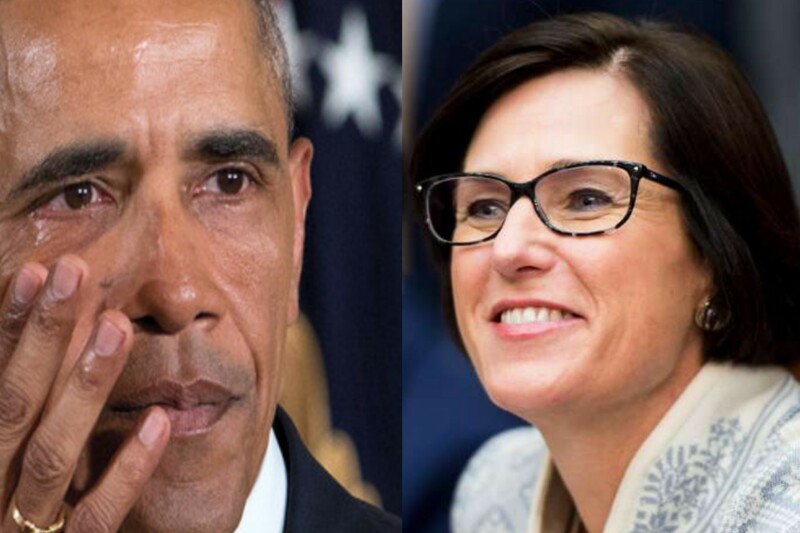 A Conservative leader of tomorrow has appeared in a female GOP politician from California's 45th District, Representative Mimi Walters, who has laid down the law in an explosive rant against the failures of Barack Obama. “Obama didn’t win my district, and the people in this district don’t want to go back to the last eight years,” Walters said of the broken promises of Obama's socialist nightmare. California is leaving the ranks of the liberal elite, in part due to the victories of President Trump, and even more so in favor of avoiding the horrible economic situation that happened under Democratic Party rule. Home prices fell under Obama, all while taxation, frustration, inflation, and stock market manipulation through bailouts increased throughout the nation under Obama. Despite his ability to lie to your face about hope and change, Obama oversaw a disastrous economic crisis, and there was no end in sight. Representative Walters is counting on that push from the left, and the lack of enthusiasm around the former President Obama and the Democratic Party as a whole to push her to victory. In the entire history of the 45th district, the people have never elected a single Democratic Representative for the United States of America's Congress. Fox News said that Democratic challenger Katie Porter should be using Trump as a punching bag because “feelings about the current president,” could shift the opinions of those in California. Fox continues to take a further leftist stance with remarks such as the attacks on President Trump. That isn't much of a surprise when you realize Fox has donated twice the amount to Democrats as the GOP, as reported by <a href="https://www.opensecrets.org/orgs/toprecips.php?id=D000000227&cycle=2018"> Open Secrets</a>. If a Democrat could win the 45th District, it certainly isn't going to be against the fiery Mimi Walters. Republicans have a strong grasp of power in the area and have for multiple generations. Despite this, the Democratic Party’s Katie Porter believes she stands a chance. The only thing that has to do with <i>stamps</i> is the food stamps that Californians were being forced to use to provide for their families under Obama. Mimi Walters is confident, she says, that she will dominate Orange County, which is the ancestral foundation of Reagan Conservatism. Walters is firm in her attacks of Porter, saying she's an “Elizabeth Warren Socialist,” which seems to be the face of the modern Democratic Party. As women increasingly gain the momentum to win races, you have a radical socialist in California, in Katie Porter for the left. For the push in fiscal activism by Conservative women, a former investment executive, and she believes that her opposition, a law professor and protege of liberal firebrand Elizabeth Warren, doesn't resonate with the working community.